Making cards smartphone-friendly invites chicken-or-egg situations. If I choose one option, most people I meet still won’t have it, or may prefer a different one. That’s why the best way to kill off business cards—for now and for a long time to come—is to scan them and toss them. I’ve always wanted a business-card scanner and I’ve enjoyed playing with the $500 NeatConnect, which rapidly uploads cards, receipts and other documents straight to the cloud, rather than to a computer. But the scanner in my pocket—my smartphone—doesn’t require an extra carry-on bag. The challenge is wading through the overwhelming number of apps that promise to turn your snapped cards into address book entries. 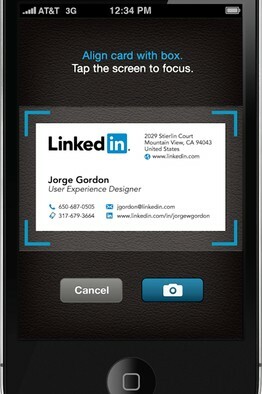 LinkedIn’s free CardMunch uses humans, instead of digital means, to transcribe your card scans. When I tried it, the humans took their time: over 6 hours for two cards. (A LinkedIn representative says the company aims to send back card transcriptions within 24 hours.) After all that wait, one of the cards returned marked “Cannot Read Name.” I quickly gave up on humans. The best choice I’ve found is CamCard: $2.99 up front currently gets you unlimited card scanning. (There’s also a free, ad-supported version that offers a limited number of scans.) It’s fast and accurate, and when you scan someone in, you can easily send that person your own info via email or text. I find it hard to imagine these scraps of paper won’t be replaced by a wireless exchange, through smartphones or even, one day, a wearable or surgically implanted technology. For now, I’m awaiting the delivery of 500 new paper rectangles so people will know how to email, text or tweet at me. —Watch Joanna Stern’s digital business-card odyssey in her latest video at WSJ.com/Tech. Contact her at joanna.stern@wsj.com and on Twitter at @joannastern. ← WSJ: G Flex Review: Calling on a Curved Phone that you can flex or step on.